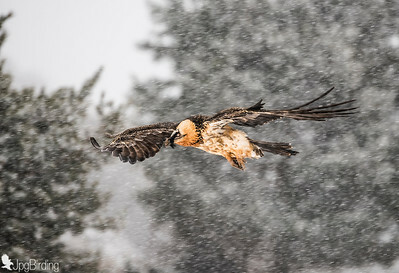 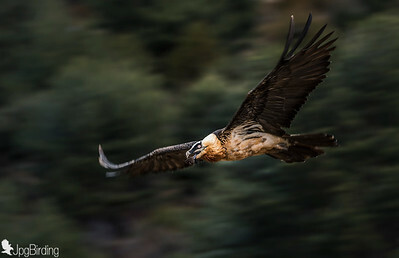 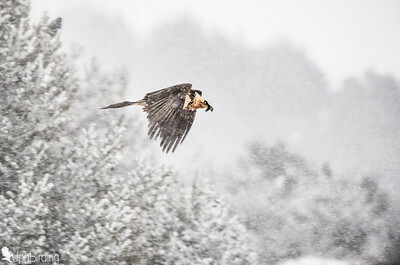 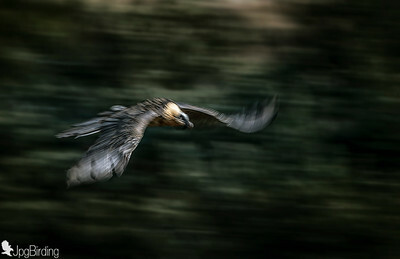 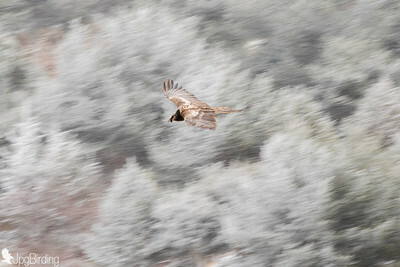 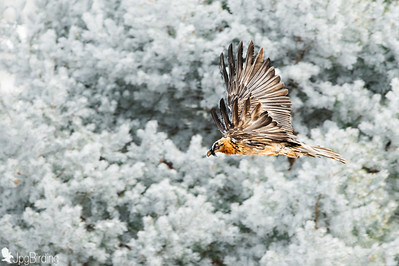 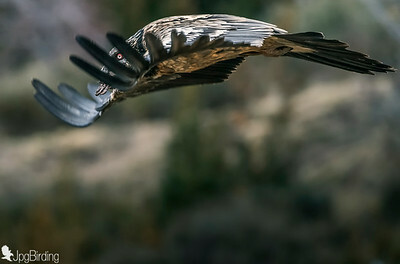 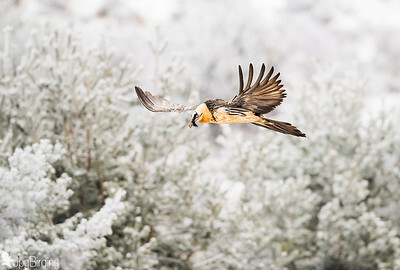 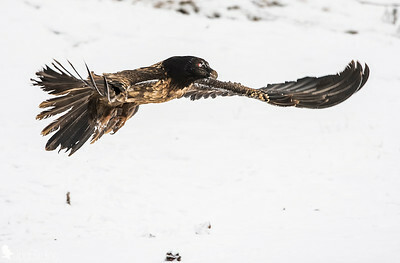 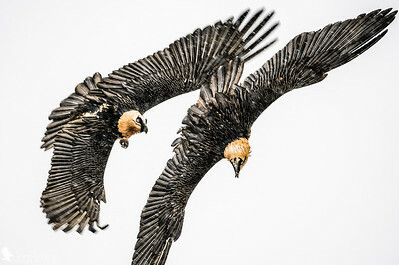 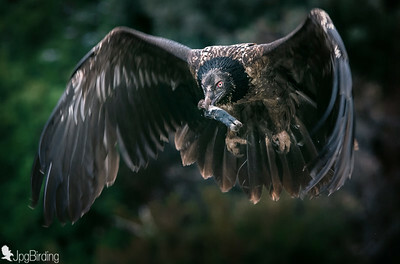 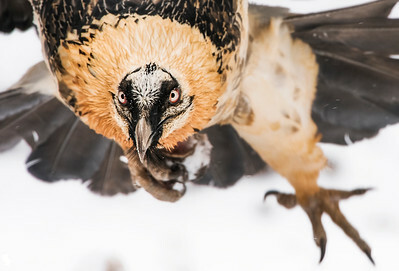 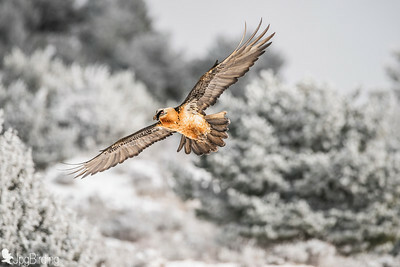 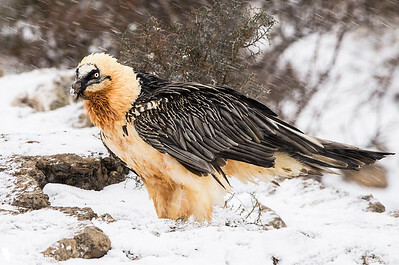 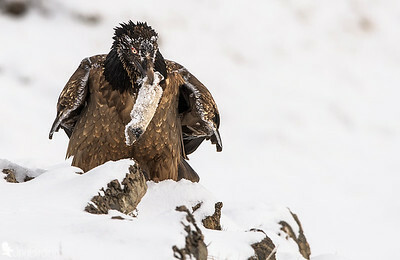 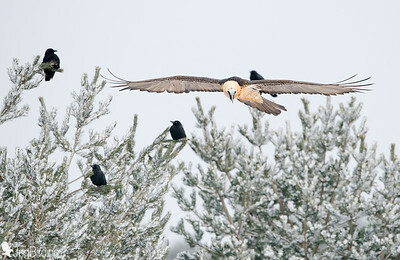 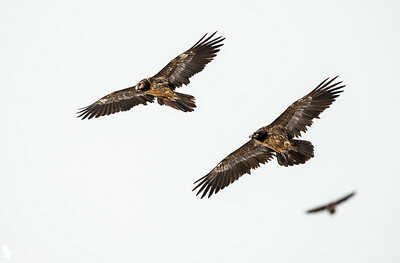 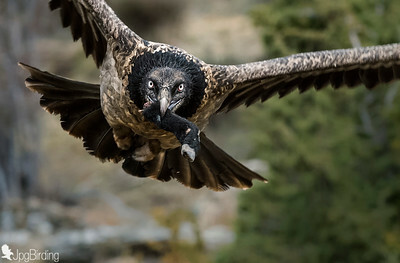 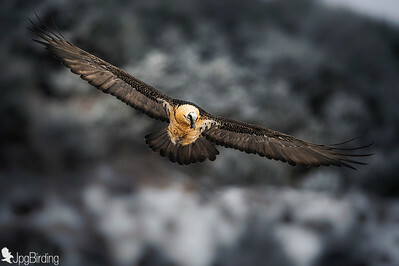 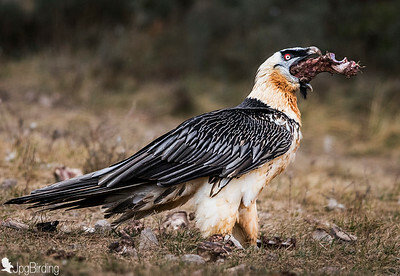 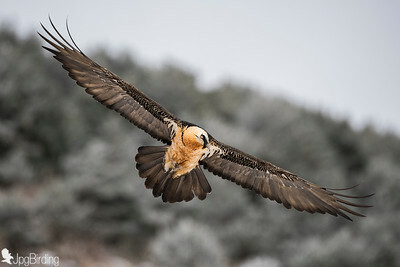 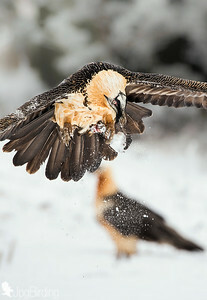 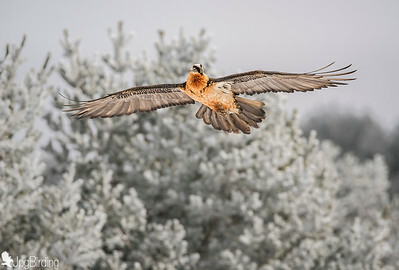 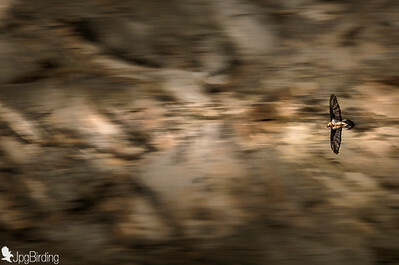 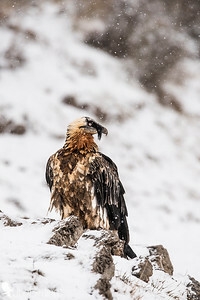 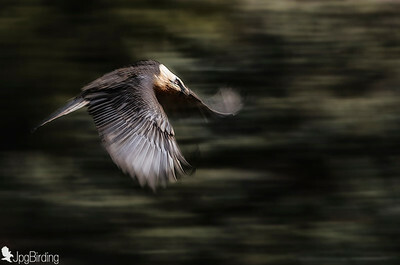 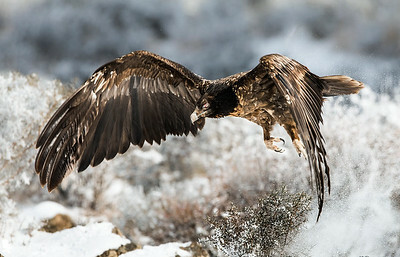 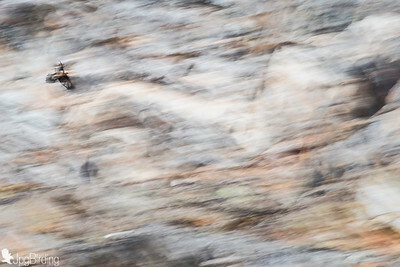 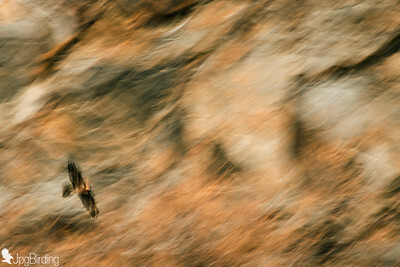 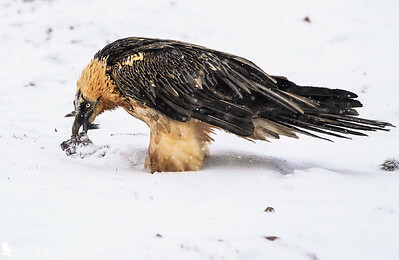 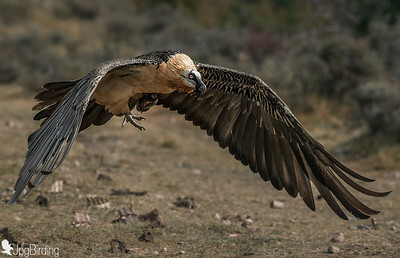 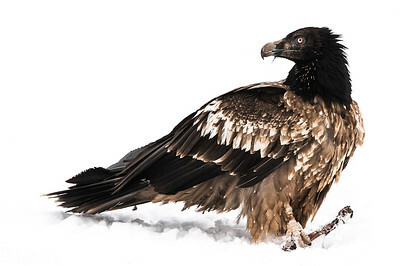 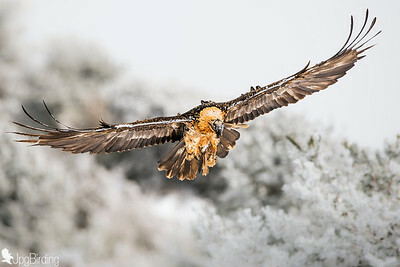 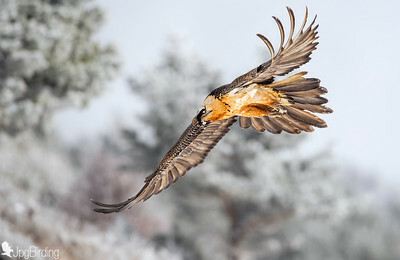 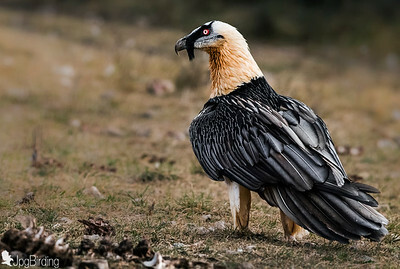 Bearded vulture - (Gypaetus barbatus), also known as the lammergeier. 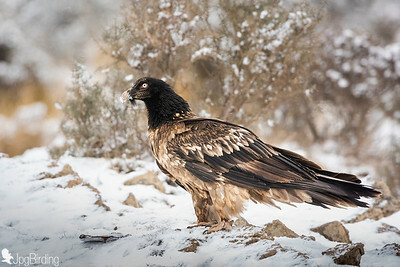 This species is almost entirely associated with mountains and inselbergs with plentiful cliffs, crags, precipices, canyons and gorges. 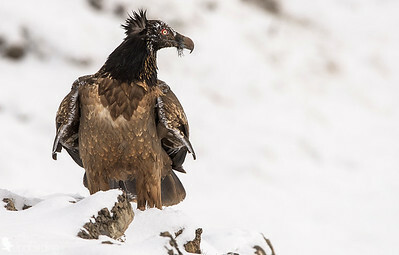 They are often found near alpine pastures and meadows, montane grassland and heath, steep-sided, rocky wadis, high steppe and are occasional around forests. 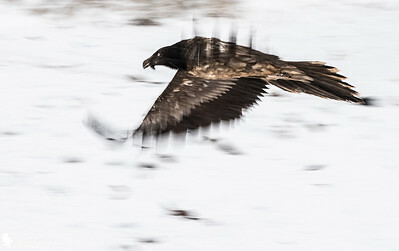 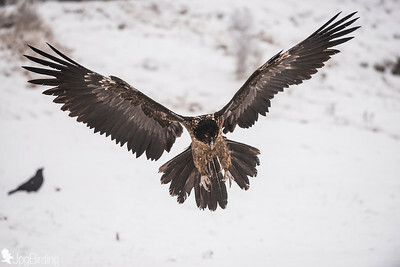 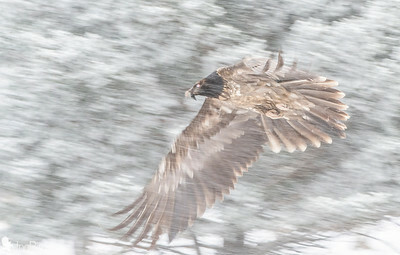 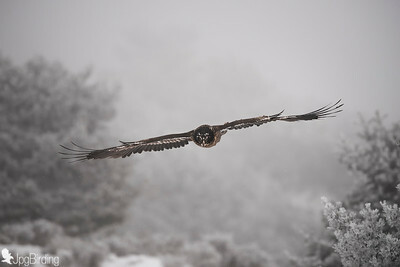 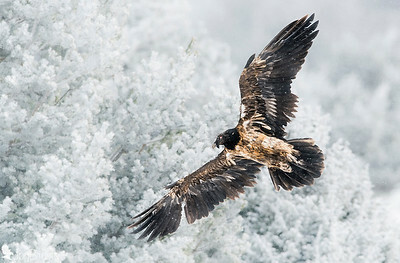 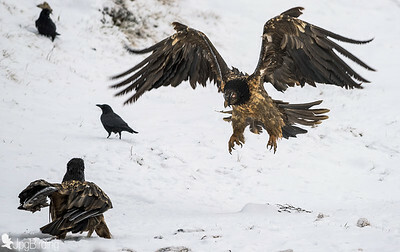 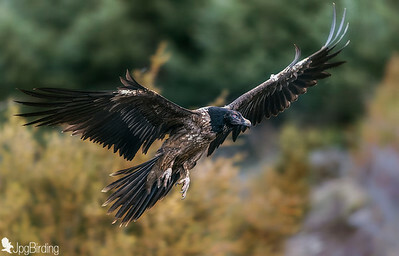 They seem to prefer desolate, lightly-populated areas where predators who provide many bones, such as wolves and golden eagles, have healthy populations. 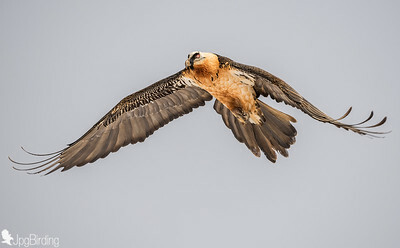 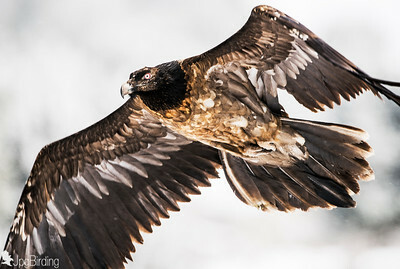 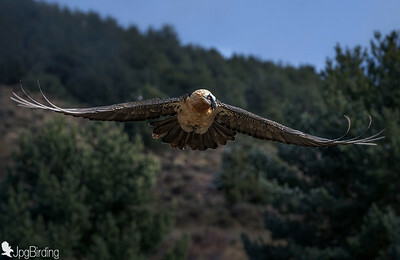 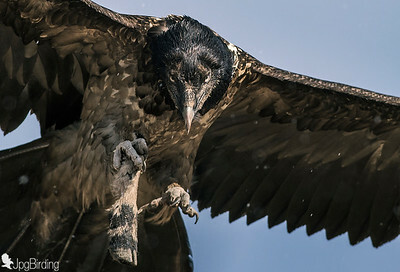 This bird is 94–125 cm long with a wingspan of 2.31–2.83 m. It weighs 4.5–7.8 kg, with the nominate race averaging 6.21 kg and G. b. meridionalis of Africa averaging 5.7 kg.